Christmas dinner plates, with a martini glass,now who would have thought? Whimsical design with Santa's hat perched inside right at the rim. How delightful for the martini drinker. 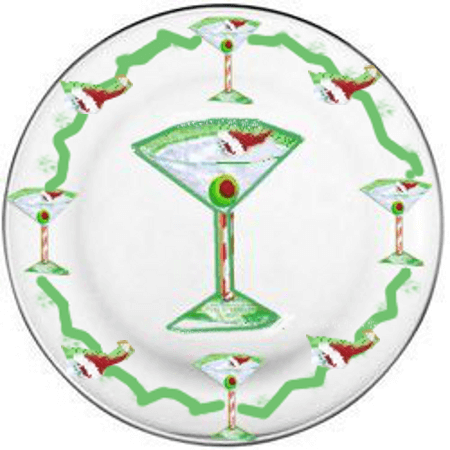 Whimsical and fun our hand painted Martini Glass Christmas dinner plates will surely be a conversation piece. 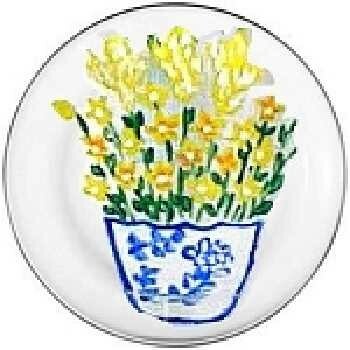 We offer a whole Christmas dinnerware collection along with serving pieces and Christmas glasses. When ordering your pieces just request the Christmas Martini Glass Design or any design in the Special Request Box. 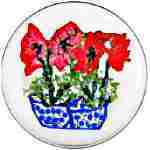 We also can paint matching glasses of all sizes and styles. Why not get a whole set!